Parent’s of young children in Atlanta, take note. We saw Waiting for Balloon last year and it was so good I can’t wait to take my boys back. I am SO excited that there are now other productions in the Theatre for the Very Young series. Check out what’s on board for the ’13/14 season below! Atlanta’s nationally acclaimed Alliance Theatre and Rosemary Newcott, the Sally G. Tomlinson Artistic Director of Theatre for Youth & Families, are proud to announce the 2013/14 Season for Theatre for the Very Young. Now in its third season, Theatre for the Very Young is an artistic experience for children ages 18 months – 5 years that overcomes age and developmental barriers, expanding the consciousness of the very young audience members. Each production nurtures creative thinking, allowing the very young to experience art and culture on their terms. Beginning October 17, the season will open with an encore production of Waiting for Balloon, directed by Rosemary Newcott and written by folk artist TMarq, loosely based on the classic play Waiting for Godot by Samuel Beckett. Through delightful trial and error, exploration and interaction with the audience, two clowns piece together what makes a balloon a balloon and celebrate all that is discovered while we “wait!” Waiting for Balloon is a joyous introduction to gentle clowning and the joy of creating puppets from found objects, designed by the creative mind of Puppeteer Michael Haverty. The next two productions in the season are brand new productions created for very young audiences. 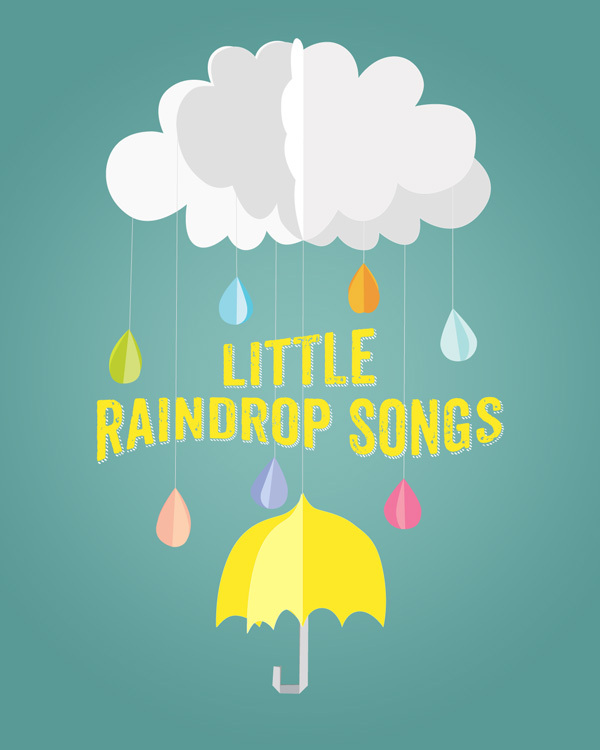 Little Raindrop Songs is a whimsically theatrical and imaginative journey through an anything-but-normal day, with original music by the Japanese ‘pajama-pop’ band Lullatone. The audience is led through a fully interactive world made completely of brightly colored paper which transforms dramatically into multiple settings. Combining unexpected puppetry, a vibrantly colorful and transformative two-dimensional set design, whimsically comic performances, and the catchy pajama-pop of Lullatone, this fully interactive theatrical performance will connect with the very young and invite them into the wonder of the artistic experience. Little Raindrop Songs is directed by Puppeteer Michael Haverty. The final production in the season is Songs to Grow On, directed by Rosemary Newcott. Inspired by the fun and inventive children’s songs of Woody Guthrie, Songs to Grow On invites children on a one of a kind journey across the country in search of the sounds of America. A tale of friendship, travel, and most of all the love of song, this unforgettable experience celebrates the joyful noise of harmony. Developed in partnership with Bright from the Start: Georgia’s Department of Early Care and Learning, this engaging show is fully aligned with GA’s pre-K content standards. Two childlike hobo-clown characters are waiting near the railroad tracks for “balloon”. The problem is that neither of them knows exactly what “balloon” is. Through delightful trial and error, exploration and interaction with the audience, the two piece together what makes a balloon a balloon and celebrate all that is discovered while we wait! This is a joyous introduction to gentle clowning and the joy of creating puppets from found objects. A whimsically theatrical and imaginative journey through an anything-but-normal day, created especially for the very young with original music by the Japanese ‘pajama-pop’ band Lullatone. The audience is led through a fully interactive world made completely of brightly colored paper which transforms dramatically into multiple settings – from the bedroom where we wake and get ready for the day, to the kitchen where we learn to eat a healthy breakfast, into the big world beyond where we experience sunshine, birds, bugs, and animals, a garden, a playground, and finally a big rainstorm which washes us inside for a bath and bedtime lullaby. Combining unexpected puppetry, a vibrantly colorful and transformative two-dimensional set design, whimsically comic performances, and the catchy pajama-pop of Lullatone, this fully interactive theatrical performance will connect with the very young and invite them in to the wonder of the artistic experience. 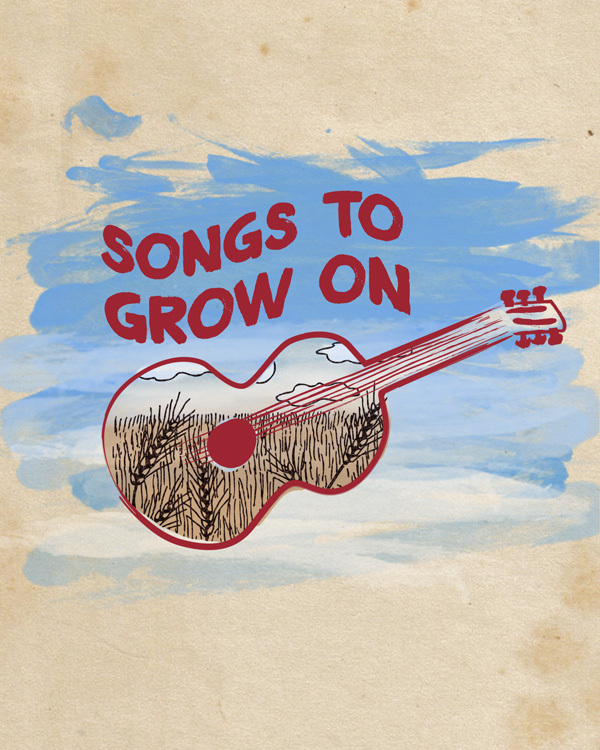 Inspired by the fun and inventive children’s songs of Woody Guthrie, Songs To Grow On invites children on a one of a kind journey across the country in search of the sounds of America. A tale of friendship, travel, and most of all the love of song, this unforgettable experience celebrates the joyful noise of harmony. The Alliance Theatre now offers a season ticket package for Theatre for the Very Young. Tickets for single performances are $10. Learn more about all these performances at www.alliancetheatre.org/tvy. Tickets may be purchased online or by contacting Olivia Aston, 404.733.4702 or Olivia.aston@woodrufcenter.org. A highly interactive multi-sensory performance for very young children and their grown-ups is coming to Atlanta. I can’t wait! With an 18 month old who you all know is just about unable to be taken anywhere in public, this has me chomping at the bit. We are planning to attend A Christmas Carol with our five year old and have gotten a sitter to be able to do so. As much as it pains me to do that, it’s become a regular occurrence lately because we are really making an effort for our older child’s life not to completely be put on hold until the baby can “behave himself”. In any case- going to a show with both kids in tow, especially during their two weeks off school, is exciting for me and Mr. P.
ATLANTA, December 10, 2012 — Beginning December 27, the Alliance Theatre for the Very Young will stage Waiting for Balloon written by folk artist TMarq and loosely based on the classic play Waiting for Godot by Samuel Beckett. Directed by Rosemary Newcott, Sally G. Tomlinson Artistic Director of Theatre for Youth, Waiting for Balloon tells the story of two childlike hobo-clowns waiting near the railroad tracks for “balloon.” The problem is that neither of them knows exactly what “balloon” is. Through delightful trial and error, exploration and interaction with the audience, the two piece together what makes a balloon a balloon and celebrate all that is discovered while we “wait!” Waiting for Balloon is a joyous introduction to gentle clowning and the joy of creating puppets from found objects, designed by the creative mind of Puppeteer Michael Haverty. Theatre for the Very Young is an artistic experience for children ages 18 months – 5 years that overcomes age, language, and developmental barriers, expanding the consciousness of very young audience members and integrating bi-lingual elements into each show. Each production nurtures creative thinking, allowing the very young to experience art and culture on their terms. 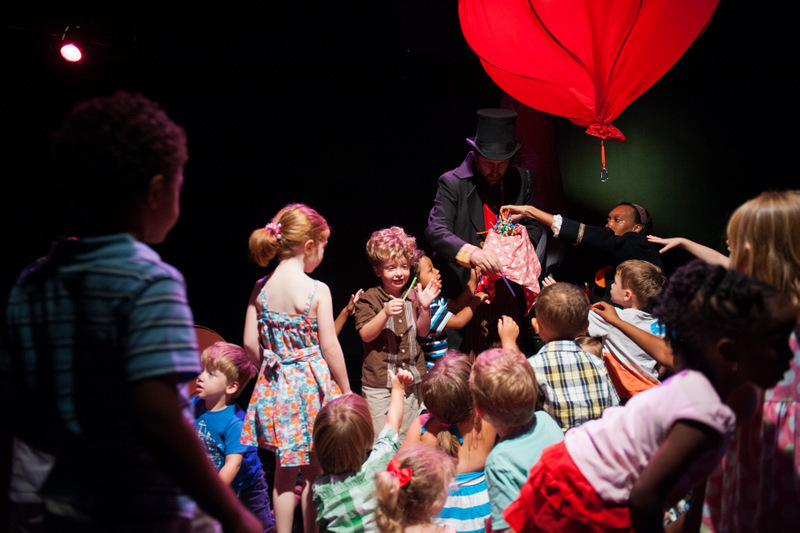 “Theatre for the Very Young engages both parents and their pre-school children in creative experiences. The fourth wall is dissolved as young ones willing become part of the experience,” says Director, Rosemary Newcott. Season Ticket packages for the two upcoming Theatre for the Very Young productions are available. When you buy a package for $20, receive tickets to both productions plus season ticket benefits. Explore the sounds and sensations of nature as you journey through a magical garden. Children will be actively engaged in this multi-sensory performance as they willingly become a part of the artistic experience. A “cultural” garden in which children can grow their imaginations, and become gardeners themselves!